Op woensdag 15 juni 2016 is er een bijeenkomst in Wageningen over het versterken van veredelingsprogramma’s waar boeren volwaardig bij zijn betrokken. Ook gaat het om de vraag wie er profiteren van de bestaande agrarische biodiversiteit. Dat alles in relatie tot internationale verdragen zoals de International Treaty on Plant Genetic Resources. Farmers, especially women, have been the custodians of the world’s biodiversity through saving, using, exchanging and selling seed and propagating material. The rights of farmers to do this are a core component of the International Treaty on Plant Genetic Resources, as well as their right to participate in decision making and in the sharing of benefits arising from the use of plant genetic resources. However, only a small number of governments have established effective farmer-centred measures for the implementation of access and benefit sharing of genetic resources. Yet, there are various examples of successful farmer-led initiatives, some of which happen through a collaboration between researchers and farmers. 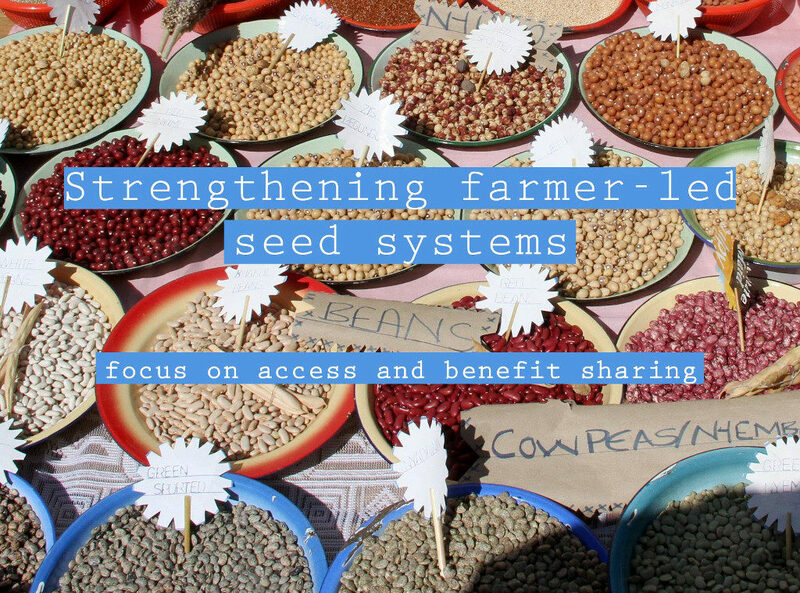 What are the lessons of effective access and benefit sharing for family farmers? In a panel discussion, some of the most innovative experiences will be presented and experts will share their perspectives. A special edition of Farming Matters magazine on this topic will be launched and made available to all participants. Access the magazine here. For the latest version of the programme and the speaker list, please visit the facebook-page of the event. Organised by: ILEIA, Bioversity International, Boerengroep, Louis Bolk Instituut and ASEED.